Let's go see cherry blossoms and try three different colors of sweet dumpling in Ueno Park! In the early April, we strongly recommend you to visit Ueno park to see the Sakura (cherry blossoms) that last only few days. In fact, Ueno park is one of the most popular spots to see cherry blossoms in Tokyo. You can also see the unique part of Japanese culture of how people enjoy the Hanami parties while having sweets and drinks under the beautiful sakura trees. 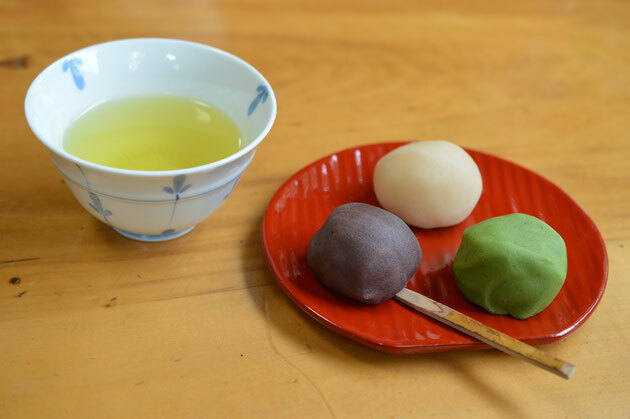 If you ever had a chance to visit this park, we recommend you to visit "Shin Uguisutei" cafe and have Uguisu-Dango (three different colors of dumpling）. While having those delicious sweets, try to sense the soft breeze of the spring that will come soon. There is a old Japanese saying　"Hana yori Dango ("dumplings rather than flowers"; That means bread is better than the songs of birds）". But we are sure you can enjoy both in Ueno park!